On Friday, the city said it won’t allow KeyArena demolition to begin until the NHL awards a team. But the city and NHL Seattle ownership group also believe that demolition starting in December will still allow the project to be completed by the target of October 2020. It’s been half a year since the Oak View Group collected 33,000 season-ticket deposits of $500 and $1,000 apiece for future NHL games at a remodeled KeyArena. Next month, in exhibition space adjacent one of the IMAX theaters at the Pacific Science Center, work is finally scheduled to begin on a ticket sales office and presentation venue where deposit-makers can view simulations of what seats in the revamped venue will look like. The sales center will then open in December so deposits can either be turned into actual purchased seats or refunded as promised. And if you’re seeking a sign that Tod Leiweke, David Bonderman, Jerry Bruckheimer and their NHL Seattle group still plan on a team launching here in October 2020, that’s as good as any. On Friday, it was revealed at a meeting of the Select Committee on Civic Arenas that the city won’t allow KeyArena demolition to begin until the NHL awards a team. But further city documents show that officials feel delaying the demolition until that expected December team approval still allows the renovation to finish by its October 2020 target. I’m told by all involved that December has long been eyed as the latest the start of full demolition could be pushed out. There’s good reason for that: Until the Sept. 13 deadline, anybody can appeal a final environmental impact statement (FEIS) on the $700 million KeyArena renovation and cause it to be delayed. Clearly, there have been delays in a ticket-sales process that OVG head Tim Leiweke — Tod’s older brother — told me in March he’d hoped to start by last June. Future NHL owner Bonderman told a news conference a month later he’d expected the league to make a provisional announcement on a Seattle expansion team by last June as well. Instead, NHL commissioner Gary Bettman slammed the brakes when June came around and the board of governors met in Las Vegas. Bettman insisted behind the scenes that all KeyArena construction must be signed off on by the city, and local minority team ownership approved first. Who can blame him given our region’s yearslong arena saga? The NHL has seen prospective arena deals fall apart in the Sodo District, Tukwila and Bellevue. Just one year ago, the league saw former Seattle Mayor Ed Murray resign in disgrace the day he was to announce a KeyArena renovation deal. 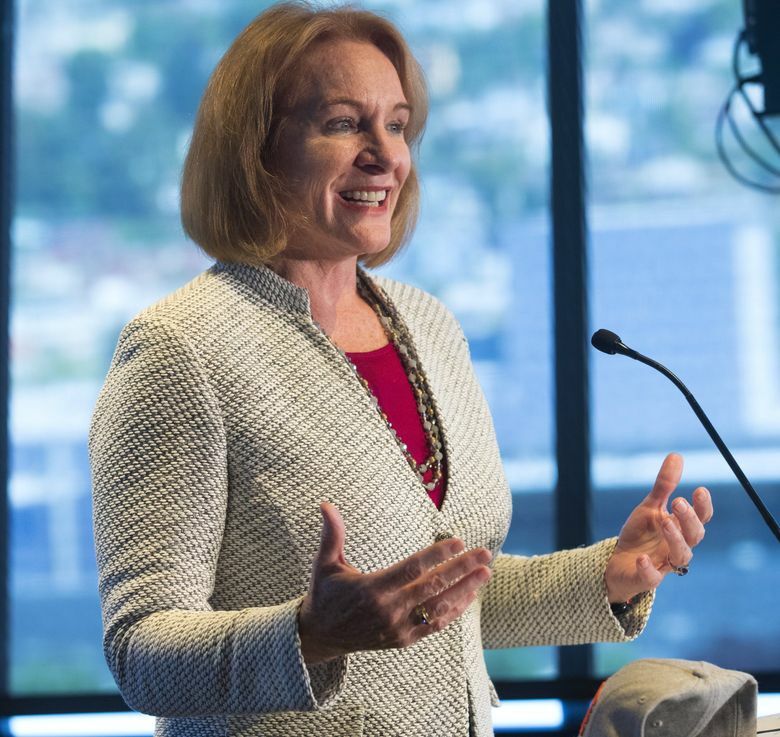 In came new Mayor Jenny Durkan, whom no one knew anything about. As for the FEIS, any appeals deemed “frivolous” can be dismissed in three months, which would not move that December start date for KeyArena renovation. But more serious appeals could take far longer and delay the planned October 2020 reopening. The NHL isn’t assuming anything. Bettman and company want to see whether there are any project-delaying appeals, or last-minute snags ahead of a Sept.24 city-council vote to ratify the renovation. As if to remind us nothing is yet complete, NHL deputy commissioner Bill Daly told ESPN’s Emily Kaplan this week that the league has broached NHL Seattle about delaying the franchise launch one year to the 2021-22 season. Daly even said he viewed a 2021-22 start date as more likely. Sure, that sounds ominous. But it also appears the NHL is again protecting itself from unforeseen Seattle happenings. The day his comments were reported, I asked Daly by email whether he’d still feel as convicted about 2021-22 if there is no FEIS appeal and KeyArena construction starts on time. Still, actions speak louder than words. The plan to start designing the season-ticket sales center next month screams full volume that the October 2020 start date is still envisioned. The center would be designed next month, after an Oct. 2 presentation by NHL Seattle and Mayor Durkan is given the league’s executive committee in New York. After that, if the NHL, as expected, holds a full board of governors vote in Florida by early December and award the franchise, the sales center would open. Frankly, once the appeal deadline passes, there’s no reason to delay expansion. Sure, the possibility of an NHL lockout looms as early as September 2019, when the league or players’ union can opt out early from the current collective bargaining agreement. But there could also be a lockout in Sept. 2022 when that deal actually expires. That’s a three-year window for disruption. I’m not sure the league delaying expansion to Seattle in 2021-22 — in the midst of that window — solves future concerns about launching a franchise during labor instability. After all, the league also has responsibility to groups it put through hoops here. Not to mention the fans making 33,000 season ticket deposits under the assumption games were just 2 1/2 years away. That’s about $23 million worth of deposit money OVG has been sitting on from an NHL-approved ticket drive. At current online interest rates of roughly 2 percent, it could earn nearly $500,000 annually just sitting in the bank. Not a good look for anyone involved. That’s why the ticket sales center is about to start getting built. And why, as long as the NHL’s conditions for arena construction have been met, the safe bet is the team launching in October 2020 as planned.